Venture into the stables of Hermès Equestrian collection and discover aerodynamic clothing, accessories and horse equipment that will lead you to victory. The world of Hermès is based on attention to detail, whether it’s the stitching or sewing, the illustration or imagination, or the work with paint or pigment. From the very first step to the very last fold, Hermès only delivers perfection. Hermès features an array of equestrian clothing, including the perfect Jump Riding Breech in a strong fabric with a tailored fit. Or for chilly riding days, try the Piumino extra-light down jacket in putty with pure goose down duvet, tailored fit, stretch fabric and a matte finish. 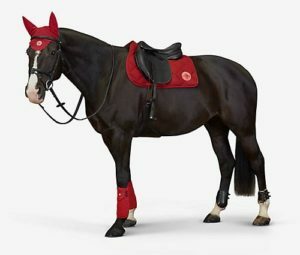 Lead your horse to victory in Hermès equestrian clothing with matching accessories, such as the Jump Technical Gloves in kidskin, with the reinforced grip, the stretch top with Velcro® flap, and the "Hermès Sellier" Clou de Selle button. Or try the Hermès Eole Riding Helmet in polycarbonate with chinstrap in Zermatt calfskin. Very light and comfortable, it provides an incomparable protection and shock absorption. From measurement to first trots, Hermès artisans’ gear follow an inch-perfect path for your horse’s success. Designed to meet the needs of show jumping and daily training, the Hermès Cavale saddle, Hermès French Norseband Snaffles and Hermès Chut Ear Netswill ensure your horse is best in show! The online USA Hermès store has by far the largest range of Hermès products in the world. 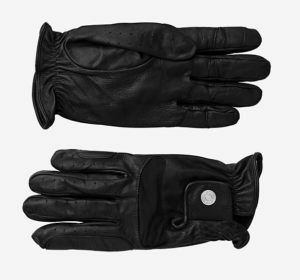 The USA Hermès Equestrian online store unfortunately does not offer international shipping. Not to worry though! Big Apple Buddy, your personal shopper, can help you buy products from the USA Hermès Equestrian online store and ship them to your doorstep, no matter where you are in the world. We offer international shipping to over 110 countries including Australia, Austria, Azerbaijan, Bahrain, Belgium, British Virgin Islands, Brunei, Bulgaria, Canada, Chile, Costa Rica, Croatia, Czech Republic, Denmark, Estonia, Fiji, Finland, France, French Polynesia, Germany, Gibraltar, Greece, Greenland, Hong Kong, Hungary, Iceland, Indonesia, Ireland, Israel, Italy, Japan, Jordan, Kuwait, Latvia, Liechtenstein, Lithuania, Luxembourg, Macau, Malaysia, Maldives, Malta, Marshall Islands, Mauritius, Monaco, the Netherlands, Netherland Antilles, New Zealand, Norway, Oman, Poland, Qatar, Romania, San Marino, Saudi Arabia, Serbia and Montenegro, Seychelles, Singapore, Slovak Republic, Slovenia, Spain, South Africa, St. Lucia, Sweden, Switzerland, Taiwan, Thailand, the UAE, the UK, Vatican City, and Vietnam. If you would like to buy from the USA Hermès Equestrian online store, simply let us know which items you would like to order (by filling out the form below) and we’ll get back to you with a free international shipping quote within 24 hours!